Are you surviving February? I haven’t been around in a while and apologize for my absence. I’m trying to write more lately as my job is pushing me for more “scholarship.” With more work demands comes less time for my health and well-being. I’m currently working on a project to see exactly how much time I’m spending each week on work related work but that is a post for another time. The main point is, I think there are probably ways I can “trim the fat” of my time, I just have to figure out where my time is going first. Tachycardia Syndrome, Gastroparesis among other things) before I could really start coping with my illnesses, disorders, disabilities etc. So, in 2014 I stayed home a lot and that’s ok. I learned some coping strategies, got my diagnoses and adjusted my life goals appropriately. So 2015 is going to be my year of action. It’s the year that I go out and do things and write the article ideas and the novel ideas and take the photos that I’ve had floating around in my head since 2014. I’m pushing myself a bit, but doing it with my best judgment. Fellow zebras know that if you live with a chronic condition and push yourself too hard, the consequences can be dire. It can result in worsening of symptoms, reduction of ability to perform basic life functions and even hospital stays. I’ve found the best way to judge if I’m able to do an activity or not is to go through a series of “litmus test” questions. These have helped me be able to push myself a little without the dire repercussions that result from pushing myself too much. Hopefully they help you too! 1. Is this activity a requirement for work? The obvious answer to this question is that I should push myself to go. I am able to live the life I do because of the job I have. It is my number one priority. So, unless I’m really ill, I attend all required work activities. 2. Will I have a chance to rest afterwards? This is essential. We zebras must take time to recover after an activity outside the norm of our usual routine. Not taking time to rest can be really hard on our system. Pushing yourself in a healthy way is a system of give and take. If you give an activity your energy one day, you have to take some time for yourself the next. 3. Will I have a chance to prep beforehand? This is also essential. Spoonies and zebras have very specific needs. Before tackling an activity it’s important to step back and plan for potential health flares that could occur mid-activity. For example, if I’m going to be on my feet a lot, I know I might have a POTS flare so I make sure to take salt and water/Gatorade with me. If I know I’m going to be doing a late night at work and my fibromyalgia pain typically sets in around 7pm, I’ll take my pain meds and TENS unit to work with me. Being able to think ahead for what health flares might occur during the activity will allow you to bring along whatever amenities you need. This way, you don’t have to leave the activity, but can instead utilize your coping skills to make the activity more comfortable in the midst of a flare. Then focus on recovery, recovery, recovery. 4. Are my current symptoms bearable/manageable? Sometimes I will agree to an activity, plan for it appropriately, and end up having symptoms the day of. This is what I really struggled with in 2014. If I had any symptoms at all I’d throw my hands in the air and say “nope, not going.” I ended up missing out on a lot of things I regret missing as result. This year, I ask myself where I’m at on the pain scale and if the symptoms are manageable for the activity I’m attending. 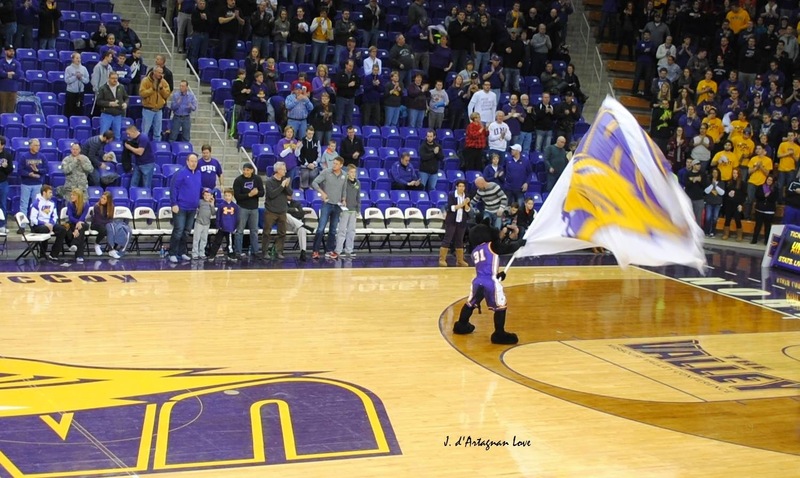 For example, a few weeks ago I went to a UNI basketball game. Before the game, I was having a lot of pain in my knees and ankles. I asked myself if this was a manageable symptom based on the activity. I would mostly be seated at the game, so I decided I could manage knee and ankle pain for this event. I ended up having a great time and didn’t exacerbate my symptoms. If the event was something different though (hiking at a park, for example) and I was having knee and ankle pain, I would have to gracefully decline as in that scenario, the symptoms would not be manageable. You have to determine on a case by case basis if you can cope with the symptoms or if the activity would make the symptoms worse and then make your decision. 5. How important is this event/activity to my long-term goals? Sometimes, I have to just let an activity go if it doesn’t hold enough weight. I have to let it go to make room for the events or activities that are important. When I mention long-term goals, I also don’t mean goals strictly related to one’s career. They can also be other quality of life goals. Is it in line with my social values? My religious values? Would I regret not doing this later in life? When you have limited energy, you have to be very careful not to spend that energy doing things that don’t line up with your values, dreams and goals. These are the questions I ask myself every week when I’m thinking about what I want to do versus what I can do that week. It has helped me stay balanced so that I’m able to get out and enjoy my life and pursue my goals but I’m also not killing myself in the process. The two most important factors have been planning for the event and making sure I have time to recover afterwards. If you have any other strategies to help you figure out when and how to push yourself, I would love to hear them! Stay strong, zebras. Oh hey, here's a photo from the basketball game I was able to enjoy despite EDS symptoms.